Go to the WebCars! 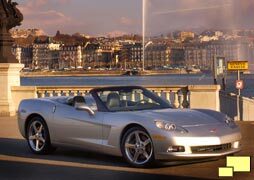 Corvettes For Sale home page. Pay careful attention to how you word your ad. Buyers will assume that if there are problems with your ad there are also problems with your car. If you have spelling / grammatical errors or other evidence of sloppiness, your chances of a sale are reduced. Here's a tip: Always have someone with writing experience go over your ad and follow their suggestions. Stay away from useless text. The best that can be said is that it is unprofessional. Phrases like "You won't be disappointed" or "The best one around" comes off like what it is: useless sales talk. Avoid the temptation to use exclamation marks excessively. "Automatic!" or "Torch Red!!" is a sign of a used car dealer with bad habits and also a buyer turn-off. Recent maintenance / repairs - performed by who? Do not be afraid to admit to any faults your car may have. Nobody expects a car that is not new to be perfect unless it has been the subject of a recent big $$$ restoration. You can assume prospective buyers will discover any faults during an inspection, so admitting to them in advance will give you credibility. If your Corvette is not in excellent condition: After coming clean with the negative aspects of the car, point out that the asking price is low, making it affordable. Remind the buyer that a car in less than perfect condition can be driven and enjoyed on a regular basis, unlike the perfectly polished show cars. For example, in the case of a car whose main attribute is that "it runs" use the phrase "drive it home" in your text. For some background in writing quality sales text, look at real estate ads. Note how sellers do not describe a house as "small"; instead it is "cozy". Don't forget to mention any awards that your Corvette has accumulated. These can be from local shows or from national organizations such as NCRS or Bloomington. The fact that other well qualified people think your Corvette is awesome is a major selling point. If you are not talented with a camera, enroll someone who is to photograph your Corvette. Good photographers are easy to find and it's worth the effort since a bad photo can detract from a good car. Although some photographers consider it a cliche, the "front 3/4 view" (see example on the right) is your best bet and it's what we recommend for a main photo. Normal eye level height is OK, but often it is beneficial to click the shutter from a bit of height. Using a step ladder is a good idea, as a shot from 10 feet high adds drama to the picture. Lighting is critical. Early morning or late afternoon is preferable as the softer, less harsh lighting results in better photography. You'll see this in professional sales brochures, almost all of which feature photography with subdued lighting. Be aware of your background. Best bets include marinas, lakes or oceans, the beach, mountains, etc. Avoid busy items in your photo, such as people, other cars, trees that look like they are part of the car and so on. If you'll be taking the photos in your driveway, remove any miscellaneous items such as kids toys, tools or sports gear. When all is said and done you'll be glad you went through the trouble to get quality photographs since you'll always have them even though your Corvette has gone on to a new life. Always have all the documentation ready to present to perspective buyers. Ideally this should include (in the case of vintage Corvettes) the factory protect-o-plate, window sticker, tank sticker, sales invoice, original owners manual, options manual, receipts for all maintenance and repairs, photographs of the car from when it was purchased along with a timeline of the history of the car. Have then scanned (which is preferable to photographing them) and ready to pass along to interested buyers. Proper documentation is critical for getting the best price for your Corvette. This is reflected in selling prices; only those cars with a solid paper trail get top dollar. Collector car fraud, in which sellers are targeted, is still found on the Internet and you'll need to be aware of it to protect yourself. Here are the common warning signs that you should look for. If it seems too good to be true, then it is. This is often heard advice, yet it cannot be repeated enough. Do not let the desire to get top dollar for your car interfere with your good judgement. The buyer does not seem to know much about collector cars, asks few questions, has poor communication skills, is buying the car for "someone else" and is willing to pay over the market value for the car. The deal is rushed, accompanied by various stories as to why this is necessary. Although many are perfectly legitimate, email addresses from free accounts such as Yahoo, GMail, Hot Mail etc. are often used by scammers. Be wary of non USA buyers. Your legal protection and recourse is either reduced or non existent. Do not turn over financial information such as credit card numbers, bank account or routing numbers unless you are highly confident of who you are dealing with. Consult with your bank as to the best way to transfer funds. Common names are used, such as "Bill Jones" or "Steve Smith". Read carefully all correspondence; if it sounds like someone is trying to become part of a culture other than their own, watch out! A common scenario: you are offered a great price for your car. Payment is made with a check, money order or cashiers check, but the amount is more than what is agreed upon. When you bring this up with the buyer, you are told to forward the difference to them. Their check, money order or cashier's check is then found to be fraudulent but the difference payment you made is gone. The problem is that scammers are highly skilled at gaming the financial system and can delay the news that their payment is bogus for a long time, as much as three weeks! Waiting 10 days for the "check to clear" does not help in these circumstances. While the nature of these scams have been well documented on the web (a good thing!) the scammers have become more inventive and are refining their techniques. This includes setting up fake escrow companies accompanied by professional looking web sites and acting more like a legitimate buyer. Accomplices at financial institutions confirming the check is "good" or even faking the financial institution from where the check was written has happened. Unfortunately it is impossible for us to cover the latest tactics. Our advice is to check the collector car message boards to learn what the latest scam techniques are.